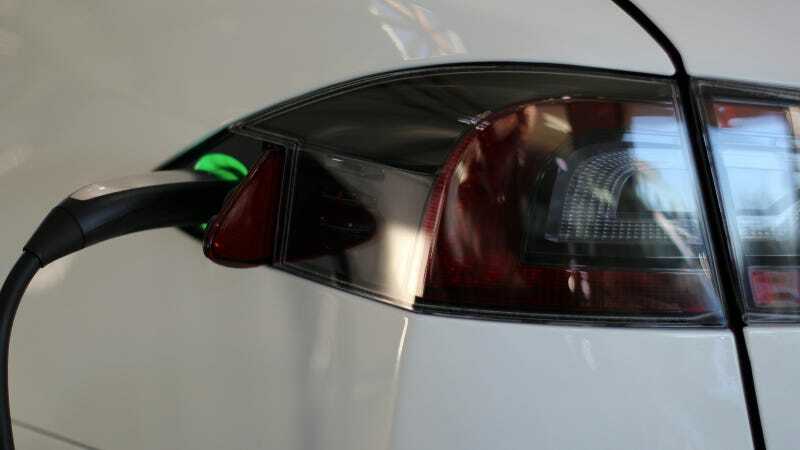 City leaders of Palo Alto, Calif., in the Silicon Valley region and where Tesla Motors just happens to be headquartered, recently gave the go-ahead to require all new homes be pre-wired for electric vehicle chargers. The city's planning department is set to finalize an ordinance in the next 90 days, according to the Palo Alto Daily News. The mayor of Palo Alto, Gregory Scharff, owns a Model S and told ABC News it cost him about $800 to rewire his house to accommodate a home charging station for his car. The additional cost to add the necessary wiring in a new home construction was pegged at around $200 by city planners. Residents who spoke at the city council meeting where the memo was discussed were enthusiastic about things like "putting EV readiness on the city's radar." If you don't know already, Palo Alto isn't your average American city of 64,000 people and residents have long been ready to adopt some other form of fuel for transportation. The city isn't just full of Teslas, but also Leafs and Volts and probably some Stanford professor hiding a Honda EV Plus. But if more US cities look at what Palo Alto is requiring for new constructions, it might make electric propulsion a little easier to embrace.